By nature, driveways receive a lot of traffic. 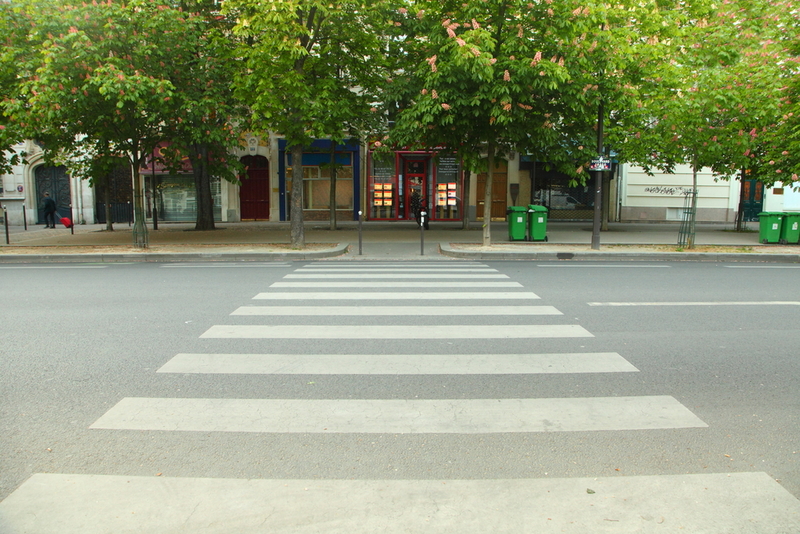 With cars and delivery trucks coming and going, driveways can take a lot of abuse. Despite this, however, properties must still maintain a driveway that is pristine and damage-free. This not only looks aesthetically pleasing but also conveys an image of professionalism. Most commercial driveways are made of concrete due to its extreme durability, versatility, and lifespan. On average, concrete driveways can usually last up to 40 years, even under heavy traffic. Concrete is also highly customizable, with a variety of types and color options available for the discerning client. Despite the strength of concrete, driveways will still need maintenance from time to time. Freezing temperatures can sometimes crack concrete, while gas and oil from idle vehicles can leave unsightly stains on the surface. On some occasions, the damage can be severe enough to require a replacement. This can become a safety hazard if left unchecked. With expert care, even the most damaged driveway can be restored to its former glory. 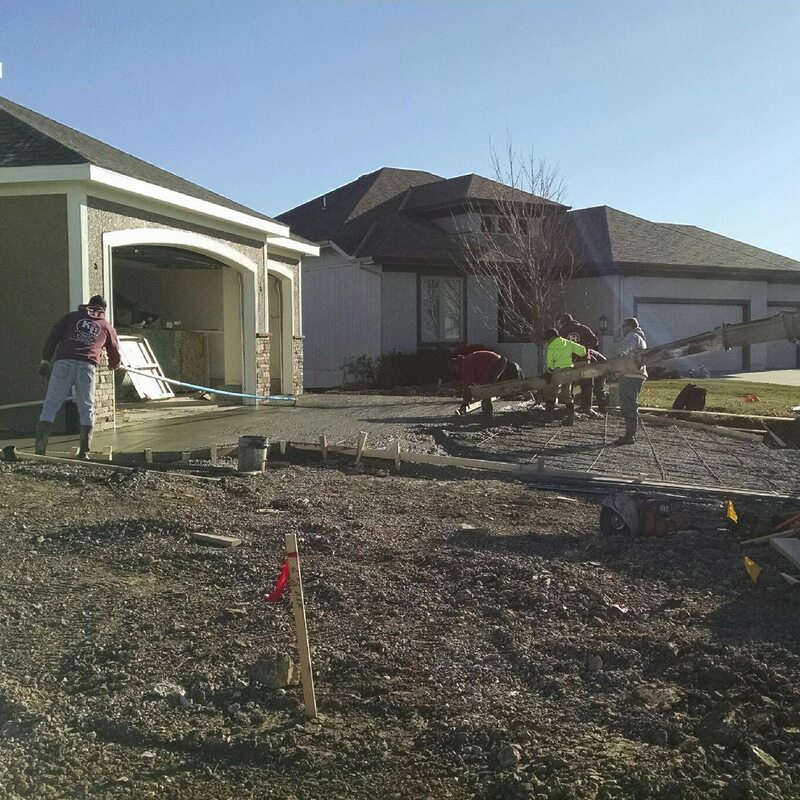 K&E Flatwork offers high-quality, efficient, and effective concrete driveway repair in Kansas City. 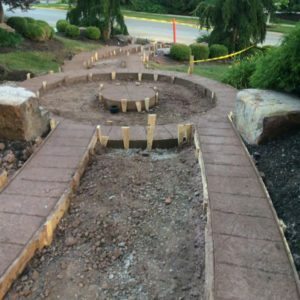 We understand that concrete replacement can be expensive, which is why our project managers will help you find the most appropriate and cost-efficient solution to your problem. K&E Flatwork works closely with you to diagnosis, repair, and replace damaged driveways to provide you with a solution that has long-term durability. Contact us today, and our in-house team of concrete experts will help you maintain a pristine and professional-looking driveway. Parking lots require different formulations and reinforcements depending on their location (indoor vs. outdoor), type (single-level vs. multi-level), and the vehicles that utilize them. 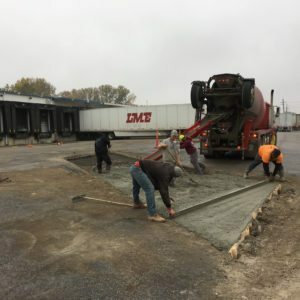 K&E Flatwork LLC’s experienced team knows how to approach these specific needs and create a parking lot that caters to them. Concrete needs structural support and careful planning — even if it’s just a parking lot. It is, after all, the first thing customers encounter and it can leave a negative impression for them to see flaws in the infrastructure. A poorly built or maintained concrete parking lot can be detrimental to business while a well-kept one can attract new customers. K&E Flatwork LLC helps clients secure the latter for themselves and their customers. We are a trusted contractor for concrete parking lots in Kansas City. You can expect quality concrete, expert execution, and excellent customer service and project management from our seasoned team. Visit, call, or send us a message by filling out our contact form.